The Dodos are releasing their fifth studio album, Carrier, on August 27 via Polyvinyl, and will be heading out on a tour in support of it after its release. 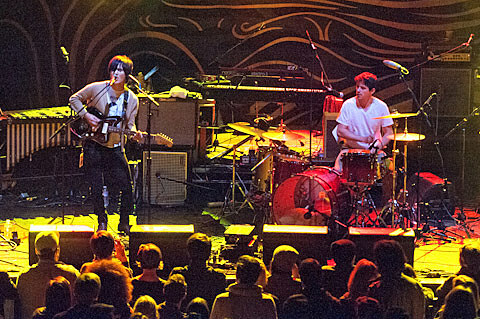 That tour hits Austin on October 11 at Mohawk outside with onetime Ponytail member Dustin Wong. Tickets for that show are not on sale yet, but check FrontGateTickets for updates. The tour also includes other TX shows happening in Houston on 10/9 at Fitzgerald’s and in Dallas on 10/10 at Three Links. All dates are listed, along with a stream of a song from Carrier and more album info, at BrooklynVegan.